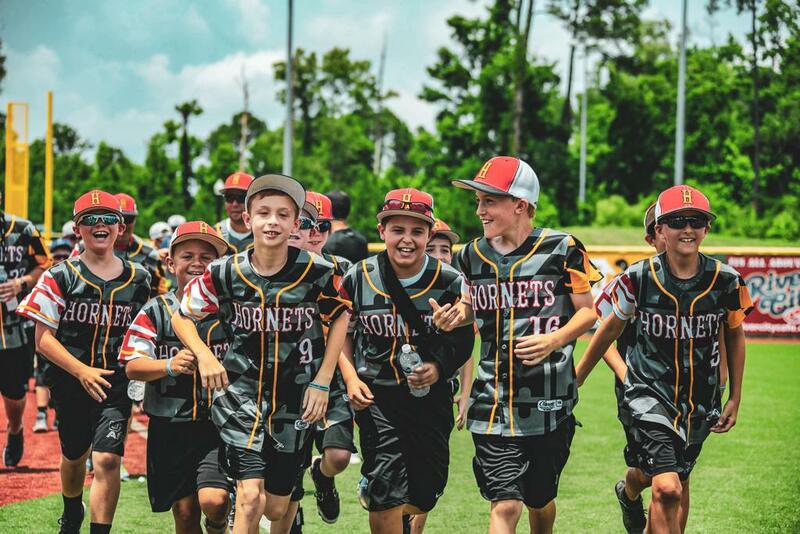 Ripken Baseball is excited to announce the completion of several new facility renovations at the Aberdeen, Myrtle Beach, and Pigeon Forge locations. 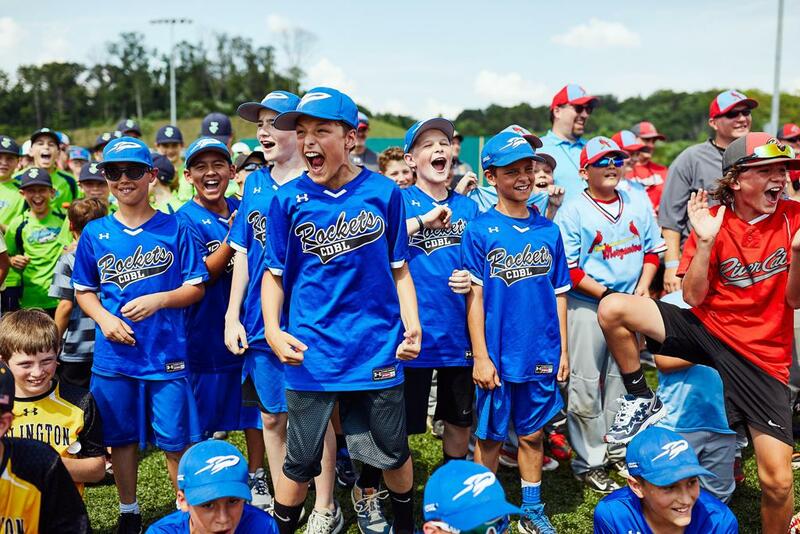 Not only are these upgrades expected to facilitate better game-play, but they are also designed to elevate player, coach, and family experiences. 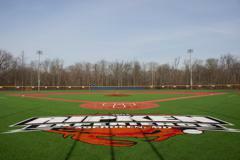 Among the renovations at The Ripken Experience Aberdeen Powered by Under Armour are a brand-new synthetic turf field, new retaining walls, fencing enclosing three fields, and updated signage around the complex. 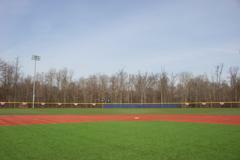 After listening to our customers through our post-tournament surveys, we partnered with Astroturf to install new synthetic turf to Yankee’s infield along with upgraded surfaces for the batter’s box and infield portions of the field. 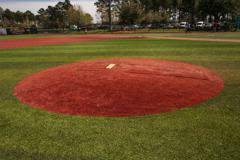 The materials used are similar to that of many college baseball diamonds across the country, setting the stage for a more advanced player experience. 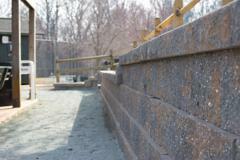 Yankee isn’t the only area that will see renovations this season – Fenway and Wrigley have both received retaining walls by Green Scapes Unlimited. Aberdeen is a unique complex to play through with fields on different levels of elevation, however, rain can cause set-backs. 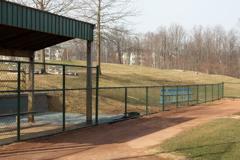 These walls are designed to keep water off the field and out of the dugouts to prevent game interruptions. 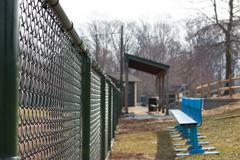 In addition to the new retaining walls, Fenway and Wrigley, as well as Memorial, will all be enclosed by C&C Fencing. Not only will this allow more balls to stay in play, but it will also provide a fresh new look to these signature fields and allow players to experience the game in an authentic, Big League setting. The experiences that these upgrades offer extend further than just players and coaches, though. 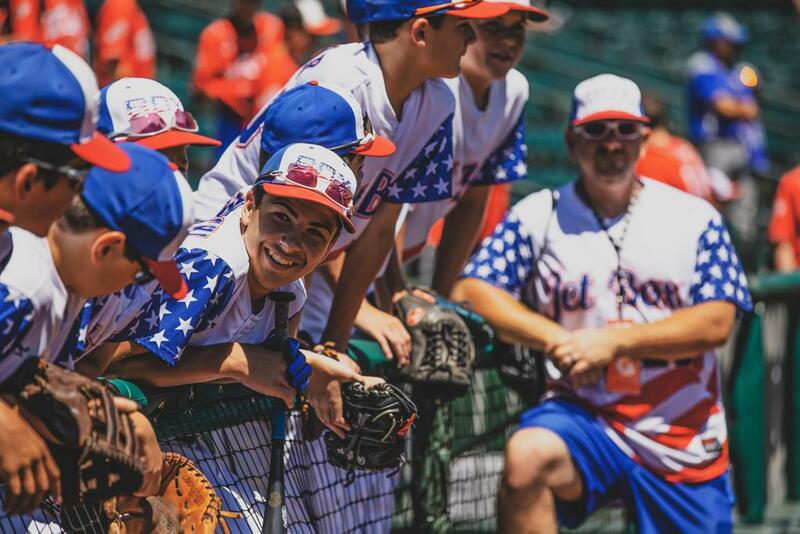 Parents, friends, and family members that come from all over to spectate should feel like they’re watching Big League games, too. 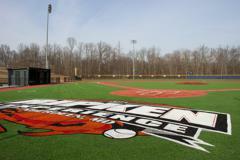 That’s why Ripken has teamed with Advantage Signs & Graphics to add new signage to help visitors navigate through the complex, along with backdrops for the perfect post-tournament social media posts. 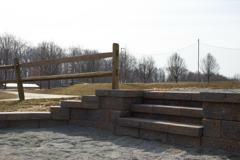 This addition is meant to enhance how everyone interacts with the facility, on and off the field. 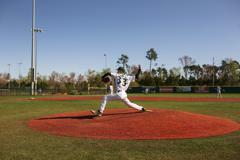 Further South, we've also launched some renovation projects at The Ripken Experience Myrtle Beach. 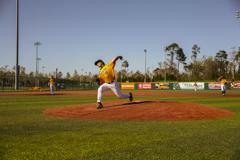 Our South Carolina location's café bathrooms, signage, and pitching mounds have all been updated to improve the health and safety of players, coaches, and families, as well as the overall aesthetic of the complex. The café bathrooms, at the request of visitors to The Ripken Experience, have received a significant face-lift. During the off-season the restrooms were completely gutted, and all-new sinks, toilets, stalls, and hand-dryers were installed, along with a fresh coat of paint to top it all off. The experience goes beyond what happens on the field, and it’s important that all of our visitors walk away having felt that every part of their trip reflected our premier, Big League atmosphere. Improved signage around the complex is another (ongoing) project that we've taken on with the intent to enhance not only how players interact with the facility, but how spectators, friends, and family members interact with it as well. 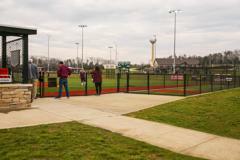 With Myrtle Beach being the largest of the three Ripken Experience facilities, new-and-improved directional signs will facilitate navigation across the nine-field complex. It's expected to be completed by the beginning of this summer. While upgraded bathrooms and signs will be helpful for all visitors, one of the most notable changes made affects the player experience: All nine dirt-pitching mounds have been replaced by turf mounds. Not only will this increase the safety of all athletes, but it also means less game interruption due to rain. The competitive setting of these games will be matched by the professional levels of efficiency and safety that we strive to provide to teams every time they take to the diamond. 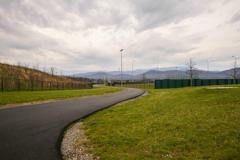 We have also made some updates at The Ripken Experience Pigeon Forge, including new turf batting boxes, paved areas for families and spectators to watch the games, and paved black-top over what once was the gravel access-road. The current turf in our batter’s boxes will be replaced with new Velcro-turf that can easily be switched out when worn down. Our team will replace the surface at the beginning of each spring, summer, and fall season, enhancing the quality of the fields and most importantly, the safety of our players. In addition to player safety, the safety of and accessibility to friends and family is also a top-priority. 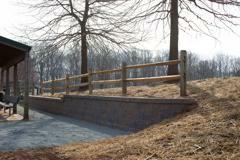 Areas that once were grass and mud have been paved over and transformed into even surfaces for visitors to park their chairs and coolers, and the gravel access road now features a black-top surface. The now-black-top access road will provide easier mobility for those wheeling carts and coolers, is more wheelchair accessible than the gravel, and will disrupt less game play as it is a quieter material. As the 2019 season kicks off, we couldn't be more excited to showcase these upgrades. We have listened to every parent, coach, and players' feedback to improve your experiences by implementing major changes both on and off the fields. Thank you to everyone who provided suggestions and voiced their opinions, and thank you to those who spearheaded the projects at each of our facilities. We will continue to improve as our community grows, and as always, we promise to provide the most memorable experiences for all of our customers.